Rounders will be part of Feile na nGael this year. Any clubs interested are requested to make contact with the rounders secretary, details below. GAA Rounders is one of the four official GAA sports, along with Gaelic Football, Hurling and Handball. Rounders has been a GAA Sport from the origin of the GAA and was included in the original GAA Charter back in 1884. It is played by all age groups, from national school children all the way to and including senior level. There are both mixed teams where Boys and Girls, as well as Men and Women can play on the same team, as well as seperate teams for Males & Females. As Rounders is a limited contact sport, it is perfect for both recreational and competitive play. It also draws on a different set of skills than the conventional GAA games and is very good for developing hand-eye coordination. Corn Gael Linn: The Corn Gael Linn trophy was the very first GAA Rounders trophy on record, it started as the Ladies top prize in 1970! It was later replaced by the C J Haughey cup in 1976. The trophy then was introduced to the Senior Men’s championship in the tournaments inaugural year. However it only lasted one year with the Senior Men untill taking it’s place as the GAA Minor Men’s trophy in 1977. Ard Comhairle replaced the trophy in 2009 but decided to keep it’s name. Corn Betsi Gre: The Corn Betsi Gre was introduced in 1977, purchased by Ard Comhairle after the first Minor Ladie’s blitz the year prior was such a success. The trophy is named after the Co.Down 1798 heroine. It was first raised high by Antrim’s Erin’s Own & is still played for till this day. 9 Countys and 15 different clubs have had the privilege to hold it. Ard Comhairle also decided to replace the trophy in 2010 along with the Senior men, women, mixed & the minor mixed. Corn Aodh Rua: Introduced to the game in 1977 it took its rightfull place as the Senior Men’s most prestigious prize. The very first winner was again Erin’s Own, however I think this trophy will always be linked to Cavan team Erne Eagles who won it ten year’s in a row(98-07) & eleven years in total, a record that will be difficult to break. C J Haughhey Cup: This trophy was donated to the association in 1976 by Charles J Haughey, and presented to the winners Erin’s Own who beat Lavey Derry. The 7 innings match and presentation all happened in under fiftyfive minutes. It has been won by 9 different countys but 15 different clubs and counting. The Syntax Cup: The first Senior Mixed tournament took place in 1990 & was won by SynDodgers from the Syntax factory in Clarecastle. At the time there was no trophy untill the following year’s final which was won by Lakelands. The Syntax factory then donated a cup named after them. The pitcher stands facing home base and delivers the ball underarm to the batter. 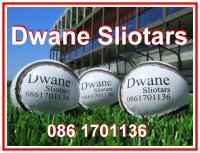 The batter must strike the sliotar in a forward direction and into the field of play. Once the batter hits the ball he/she may run to first base. The fielding team attempt to gain possession of the ball and throw it to the base minder at first base or another base if there is a runner proceeding. A batter is out if he/she strikes the last good ball into foul ground, he/she strikes a good ball but is caught by a fielder, or his or her base is tagged before he/she arrives at the base. The aim of the game is for the batting side to score as many runs (a run is when a batter has proceeded through all 3 bases before touching home base) before the fielding team put three players out. There are twenty-five metres (twenty for 16 & under) between each base and a total of 100m for a home run. 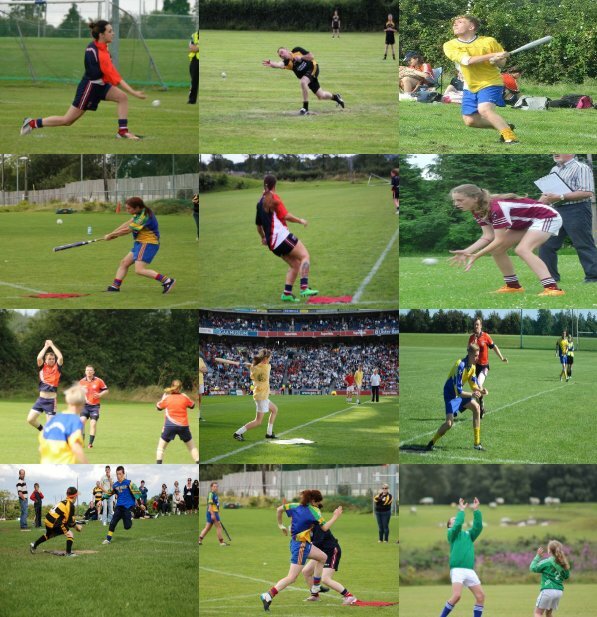 The GAA Rounders Official Rulebook is now available for download. Please click here to download the Official GAA Rounders Rulebook. Please note: In order to view our Rulebook, you must have Adobe Acrobat Reader installed on your computer. You can download the latest version at the Adobe website for free. 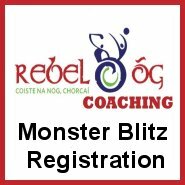 If you are interested in starting your own Rounders club or would like to participate in any of our competitions, please contact the National GAA Rounders Council who can provide you with coaching courses and preliminary coaching of new players in order to help you to establish the basics of the game and get a team up and running. Please contact GAA Rounders at secretary.rounders@gaa.ie if you would like to proceed with the establishment of a new club/team. Why do we coach Rounders? In answer there are several reasons. Firstly, Rounders develops and uses all the ball skills together with co-ordination of hand and eye. It teaches how to catch and throw, using both underarm and overarm throwing; how to stop and field balls which fly through the air and come as direct catches. It teaches how to run, both when fielding and when batting. It also develops the ability to judge and hit balls pitched at a variety of heights and speeds. Secondly, Rounders is a team game. Each player’s skills must be put together with those of eight other players and they must combine to get the best overall performance. When the side is fielding they all have to work as a unit. When the team is batting, each batter knows that how he/she hits will affect the others on his/her team. Thirdly, Rounders appeals to both male and female and can be played as a mixed game. It is not a contact sport: ladies and girls can often compete strongly with men and boys.